Please click here for a statement from the letter’s organizers on current context. We are all people who work in the food industry in the United States. We are chefs, restaurateurs, food writers, managers, farmers, and more. We strive for a more sustainable and more equitable food system and support each other in finding concrete ways to better align our business practices with our values. We have learned of your upcoming participation in Israel’s Round Tables culinary festival and ask you to please cancel. We are adding our voices to those of the Palestinian women, farmer, and worker organizations who have called for this and their Israeli allies. 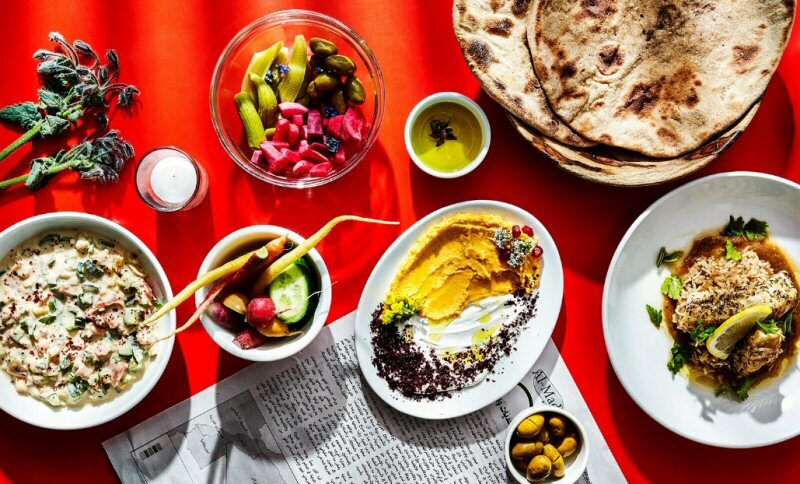 We ask you to do so because as professionals committed to food sovereignty and food access for ALL, we know that none of us can lend our names or our cooking skills to an Israeli government-sponsored culinary event such as this one. Our values around good food must include everyone, including the Palestinian people. For decades, Palestinians have been fighting against policies similar to ones many of us are protesting now in the U.S. The Trump administration is attempting to take away the Mashpee Wampanoag Tribe reservation land and has attacked the lives and freedom of thousands of immigrants. We stand in solidarity with those under attack here in the US and with the Palestinians who are protesting the same administration’s ongoing support of Israel’s discriminatory policies, including Trump’s decision to move the U.S. embassy to Jerusalem. Events such as Round Tables are part of a larger “Brand Israel” campaign to help the Israeli government normalize its ongoing denial of Palestinian rights. The Israeli Ministry of Foreign Affairs has poured resources into this campaign with the explicit intention to improve Israel’s image abroad and silence outrage over its massacres and war crimes. While Israel hosts international chefs in Tel Aviv for Round Tables, the Israeli military will be counting the calories allowed into Gaza only 40 miles away, keeping the entire population on a state-sanctioned starvation diet. Palestinians’ farmlands will continue to be expropriated for illegal Israeli settlements in the West Bank; their homes and olive orchards demolished; and traditional Palestinian foods, including falafel, hummus, tahini, and zaatar, will continue to be claimed and marketed as Israeli. This continues on while Palestinian residents within Israel are treated as second-class citizens, a status reaffirmed legally by the recently passed Nation State Law. Round Tables describes itself as “a cultural project, an honorary member of the gastro-diplomacy movement which advocates cultural, economic and political dialogue through gastronomy, maintaining that the easiest way to win hearts and minds is through the stomach.” This year the festival is focusing on “female chefs” in a “special edition” of the festival. The struggle for equality and safety for women in the food industry and society as a whole should not be manipulated to serve the agendas of oppressive governments, in the U.S, Israel, or anywhere. We believe that no dignified chef wants to be used to win people’s hearts and minds over to the cause of apartheid and military occupation. We have drawn inspiration for this letter from the stance NFL player Michael Bennett took when he cancelled a similarly sponsored trip to Israel, refusing to be used by the U.S. or Israeli governments as an “influencer” in support of their right-wing, racist agendas. We were educated and encouraged by the open letter asking NFL players to cancel their participation, signed by Alice Walker, Harry Belafonte, Angela Davis and many other important leaders within the U.S. In the past two years, Michelin-starred Irish chef JP McMahon, top chef Mitsuharu Tsumura and Danish-Bolivian chef Kamilla Seidler cancelled their participation in the festival after appeals from human rights defenders. We ask you to take a stand against the erasure of an indigenous people and cancel your participation at the Round Tables festival in Israel. We recognize that this may be difficult given whatever contracts you may have already signed. But to be principled means sometimes taking losses so that we can all win in the end. Bennett quoted 1968 Olympian John Carlos as guidance for his decision: “There is no partial commitment to justice. You are either in or you’re out.” We hope you are in. Sana Javeri Kadri, founder & CEO, Diaspora Co.
Jessie Nicely, chef, Burmese, Please! Via the BDS National Committee.